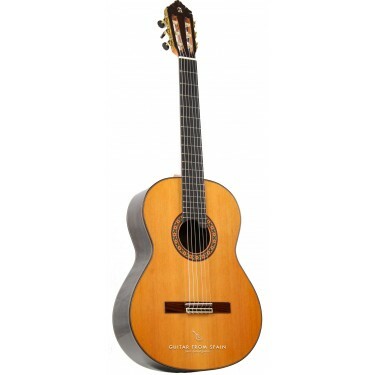 With the guitar Alhambra 10 Premier model, Alhambra Guitars artisans have applied the experience accumulated for years in the production of classical guitars. 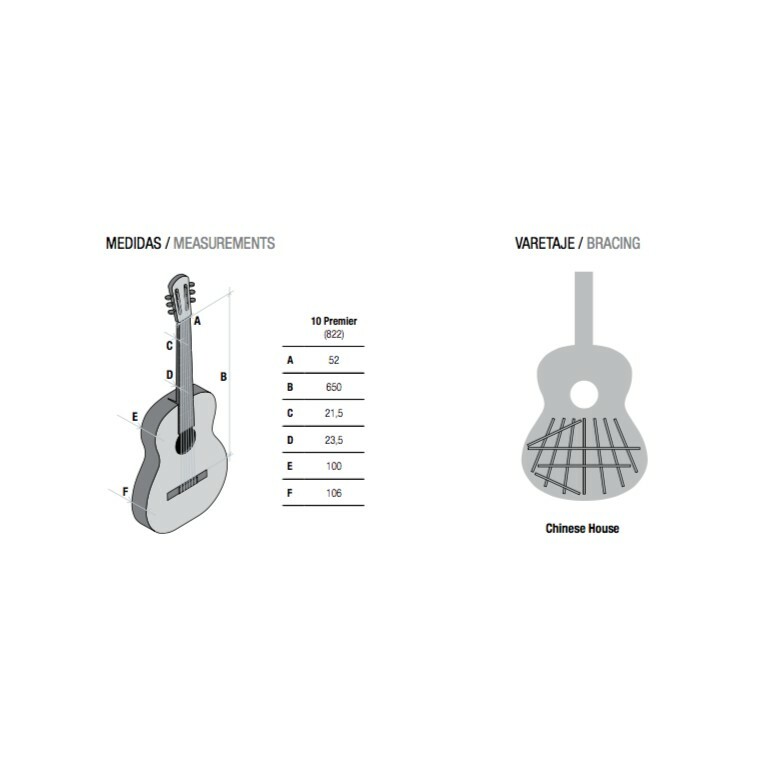 Balanced bass, medium and treble sounds and an incredible sound projection, in modern guitar aimed at today's guitarist. 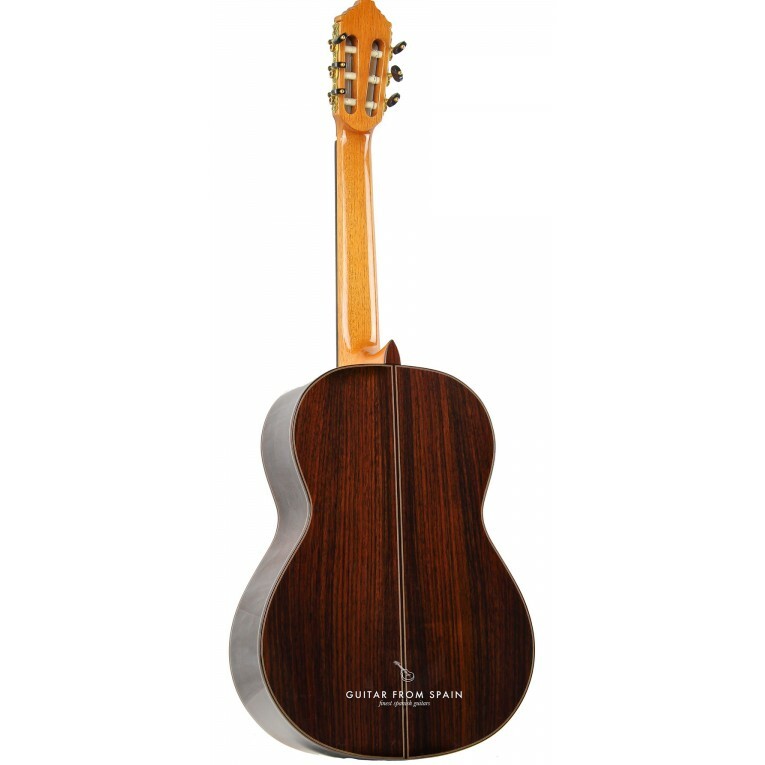 From the model 8P to the model 11P, the guitars are made by a small group of artisans where, in a progressive way, each model acquires more time of elaboration, design and detail. 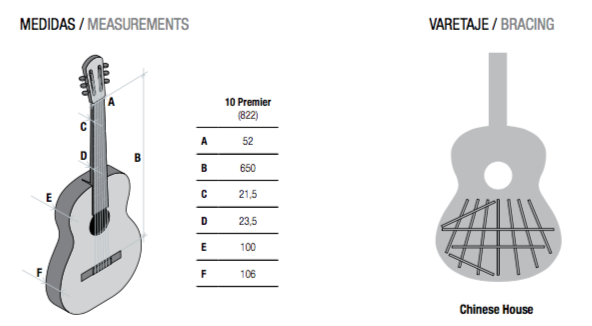 The Alhambra 10 Premier has a design of harmonic bars in the form of a bridge that favors maximum volume and projection. 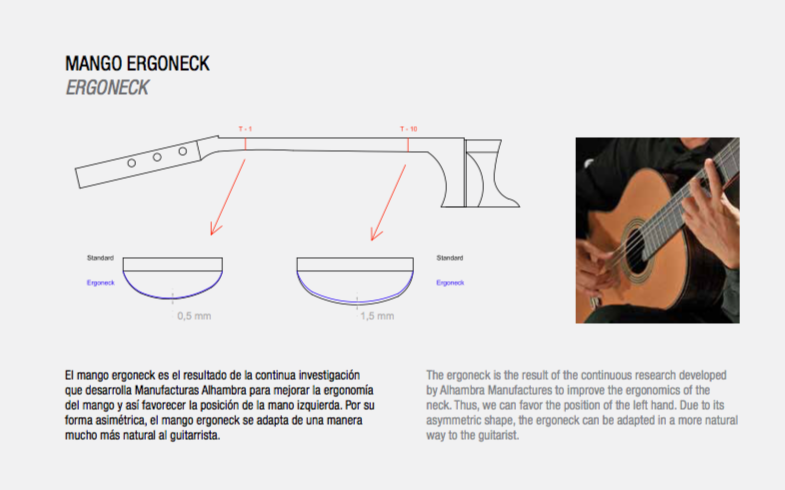 A sound that joins a perfect string action, high enough to contribute to the sound, but at the same time with just enough height to be extremely comfortable, these characteristics describe a guitar with an incredible sound projection and balanced bass, medium and treble sound. 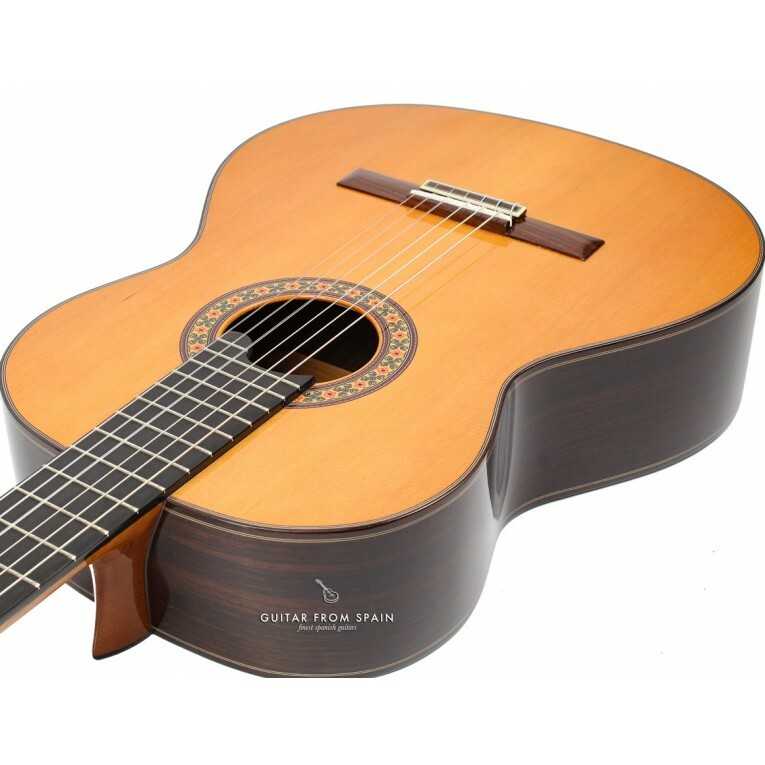 A modern guitar designed for today's guitarist. Standard case included. 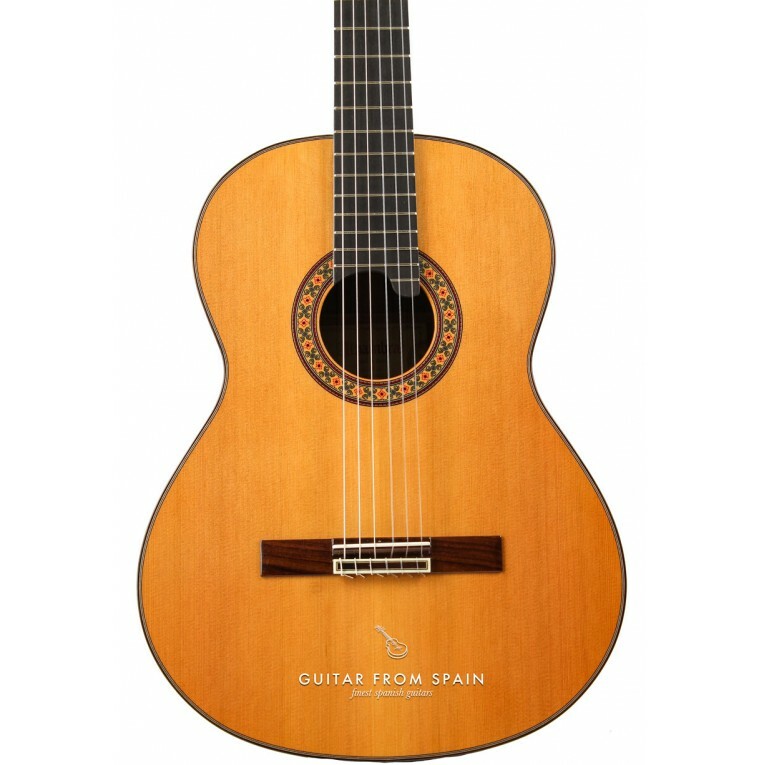 With the guitar Alhambra 10 Premier model, Alhambra Guitars artisans have applied the experience accumulated for years in the production of classical guitars. 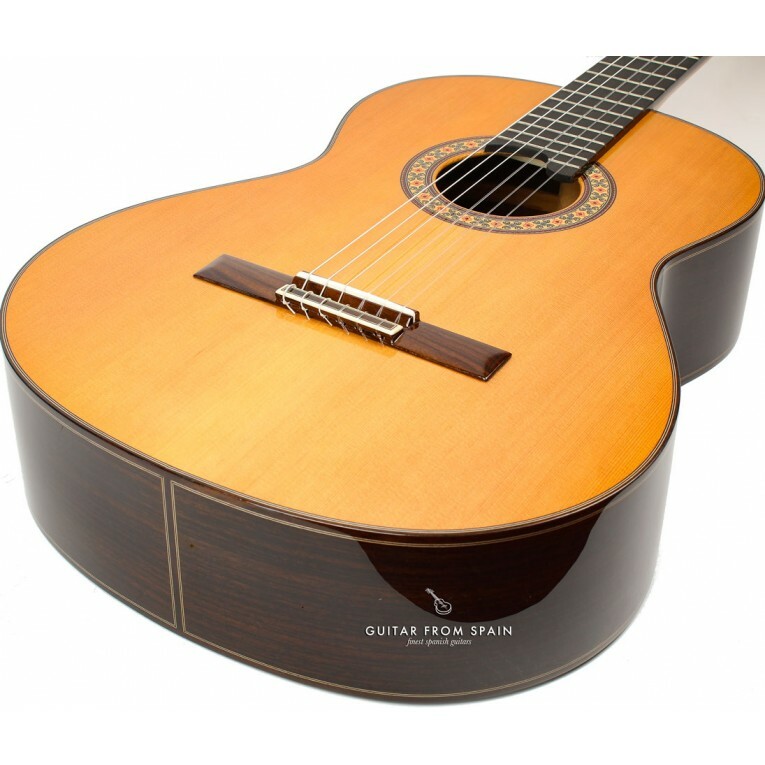 Balanced bass, medium and treble sounds and an incredible sound projection, in modern guitar aimed at today's guitarist. 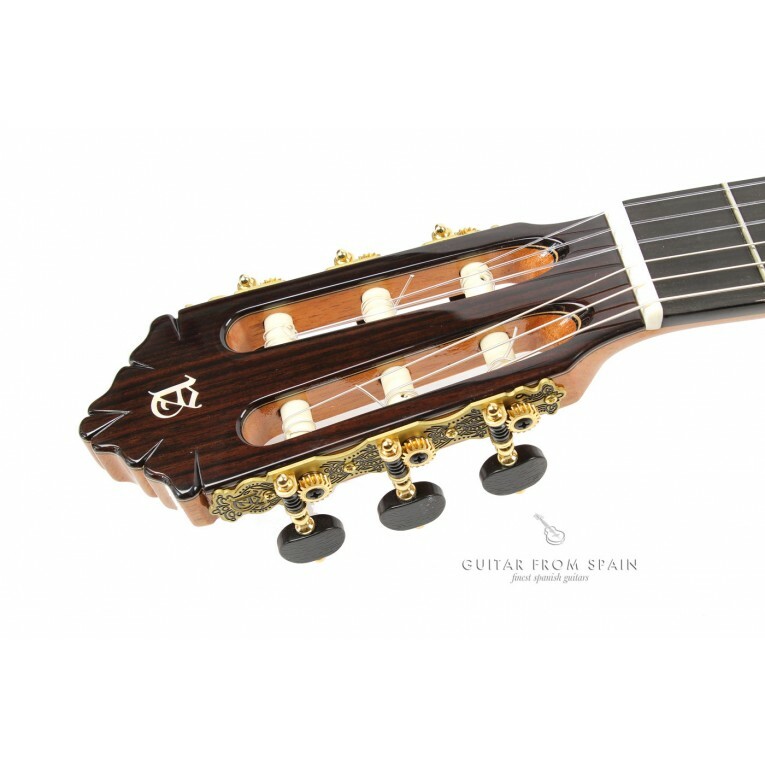 From the model 8P to the model 11P, the guitars are made by a small group of artisans where, in a progressive way, each model acquires more time of elaboration, design and detail. 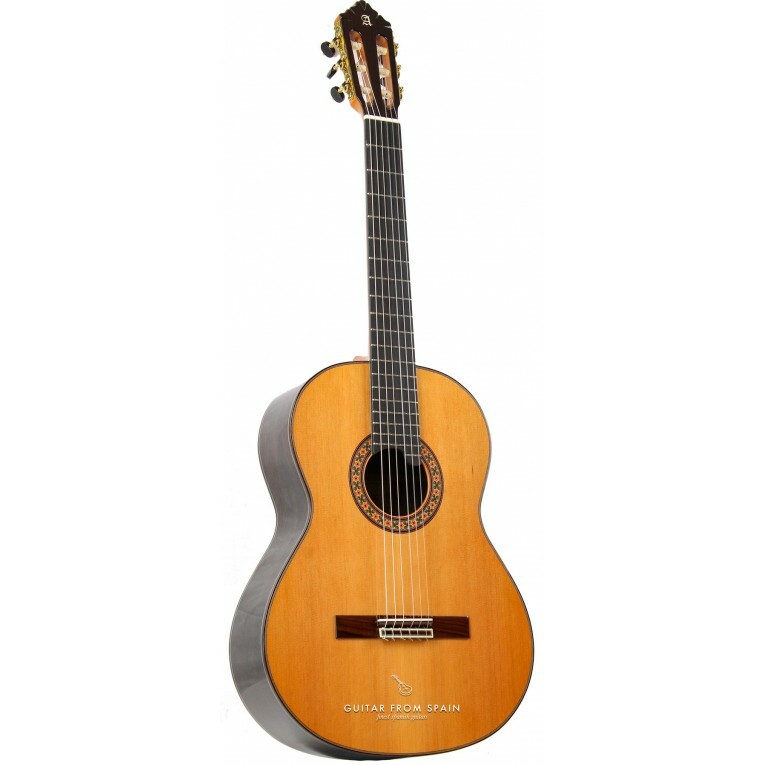 The Alhambra 10 Premier has a design of harmonic bars in the form of a bridge that favors maximum volume and projection. 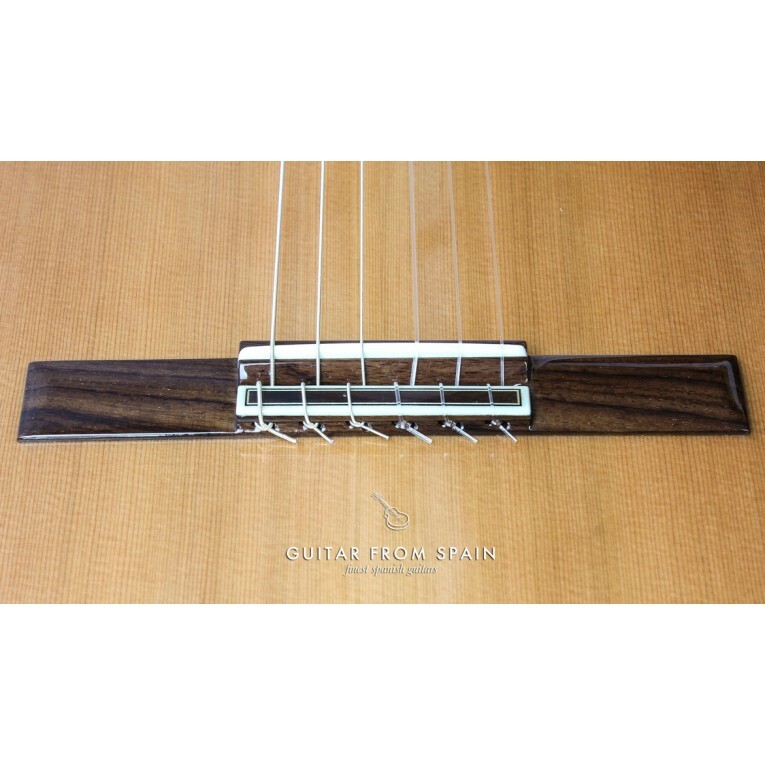 A sound that joins a perfect string action, high enough to contribute to the sound, but at the same time with just enough height to be extremely comfortable, these characteristics describe a guitar with an incredible sound projection and balanced bass, medium and treble sound. 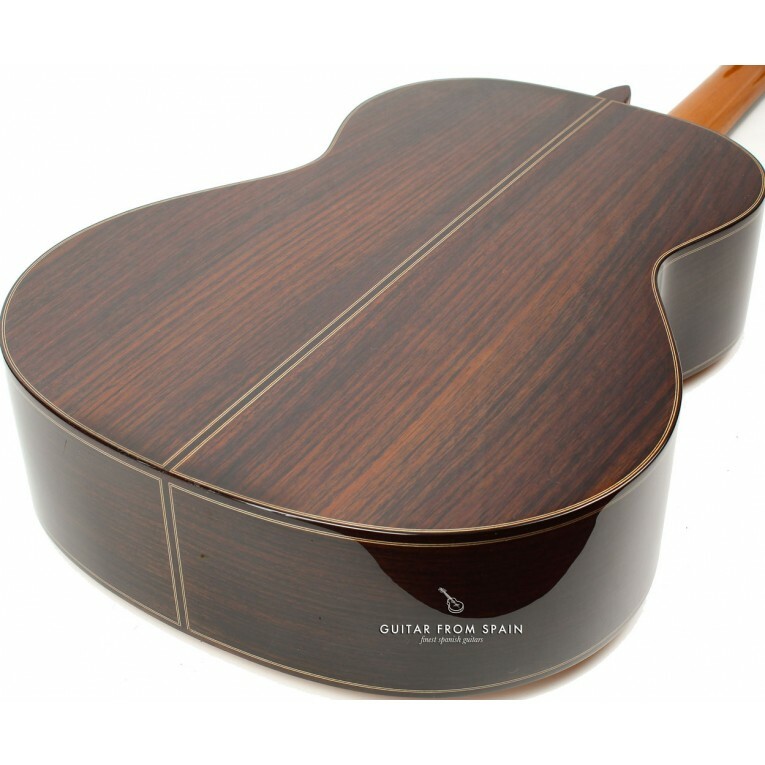 A modern guitar designed for today's guitarist. 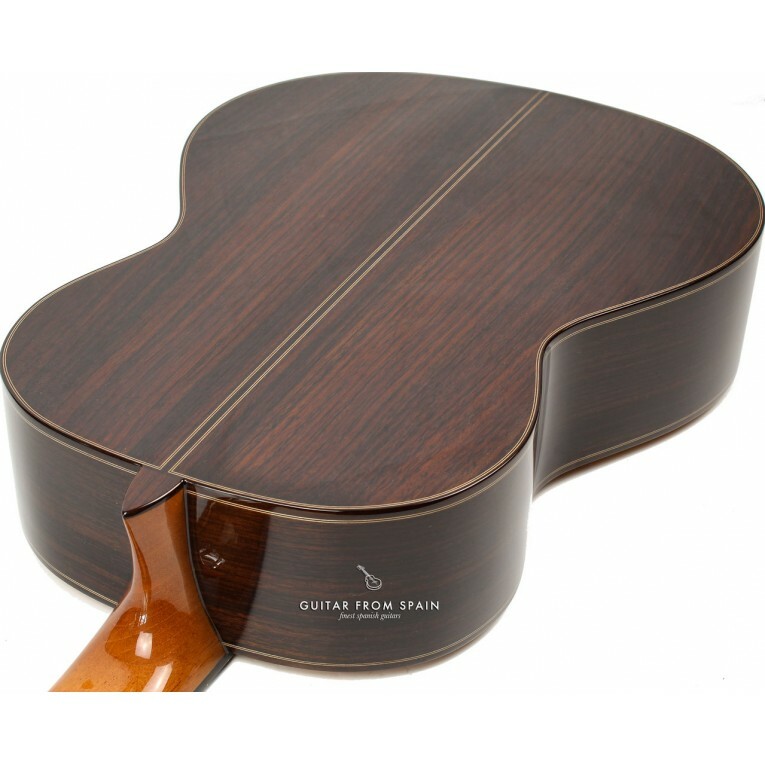 The Alhambra 10 Premier is designed and built with a series of details that increase the performance of this instrument. The finishing of this model denote an important artisan work and a very refined image. Twelve holes in the bridge, bone for the saddle and nut, a very efficient machine heads and a double green line in the profiles that provide the model 10 Premier aesthetic qualities, but at the same time great comfort and good sound. 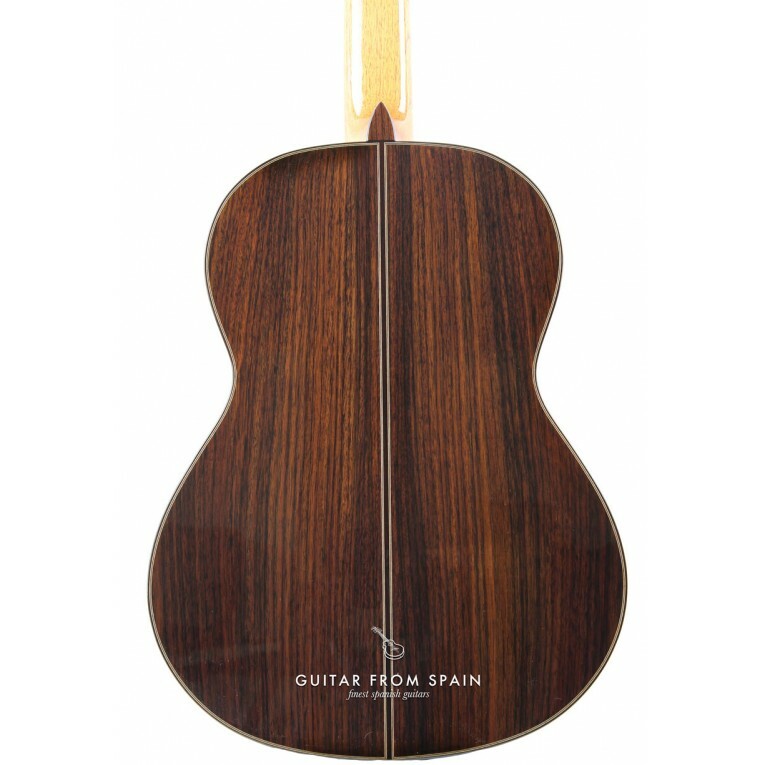 A guitar where the new “ergoneck" neck has been implemented, which favors the comfort of the guitarist, and where the fretboard is extended to introduce the fret number 20. 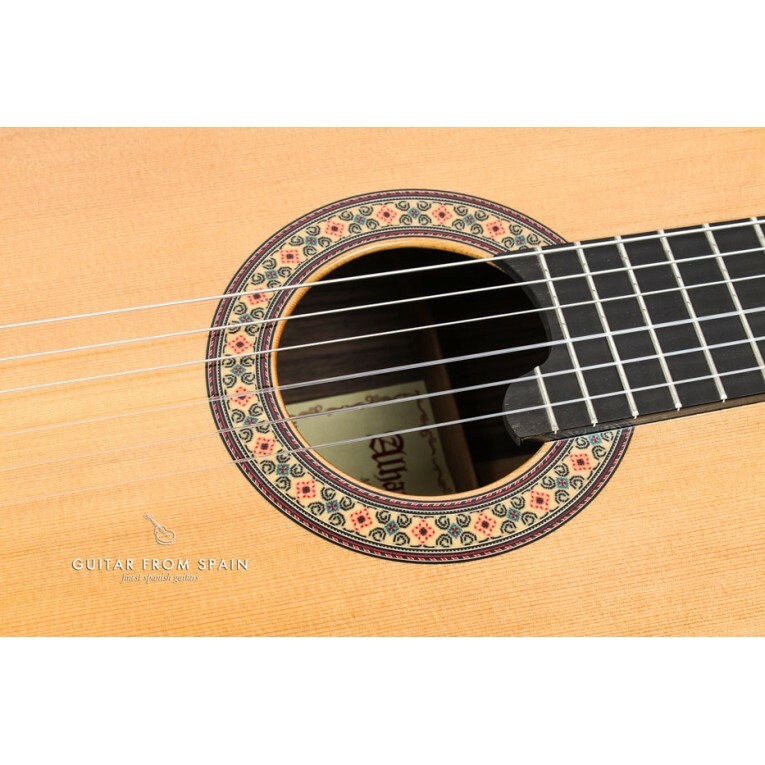 A feature requested by today’s guitarists and modern music compositions. 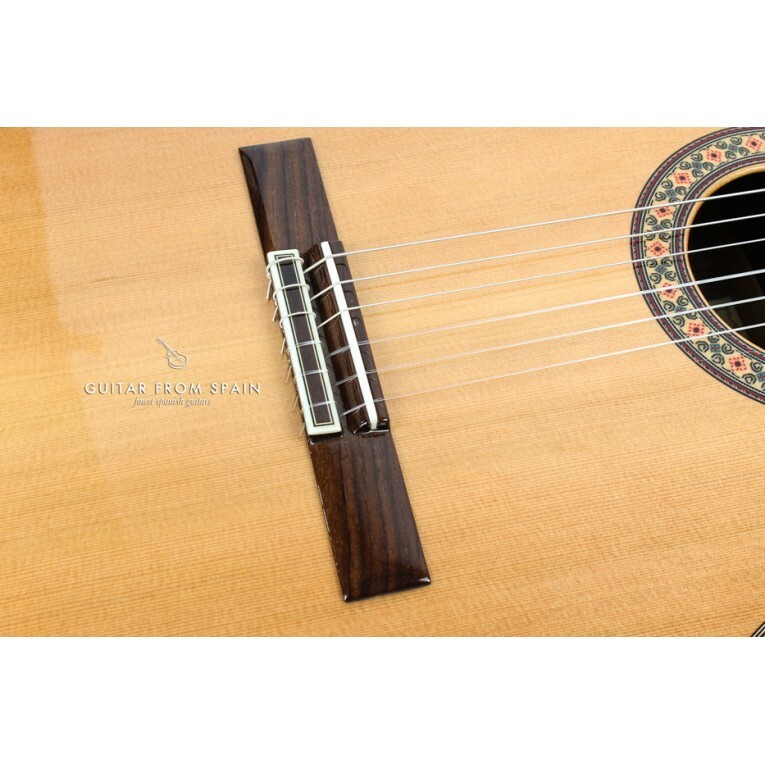 It is difficult to imagine all the possibilities offered by this instrument, where it is important to emphasize the sound quality of the first string. 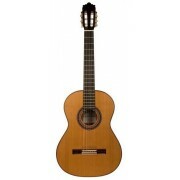 In short, a modern guitar to respond well to the demands of today's guitarist. Standard case included.